- Mix plain flour, wheat flour and butter to form fine crumbles. 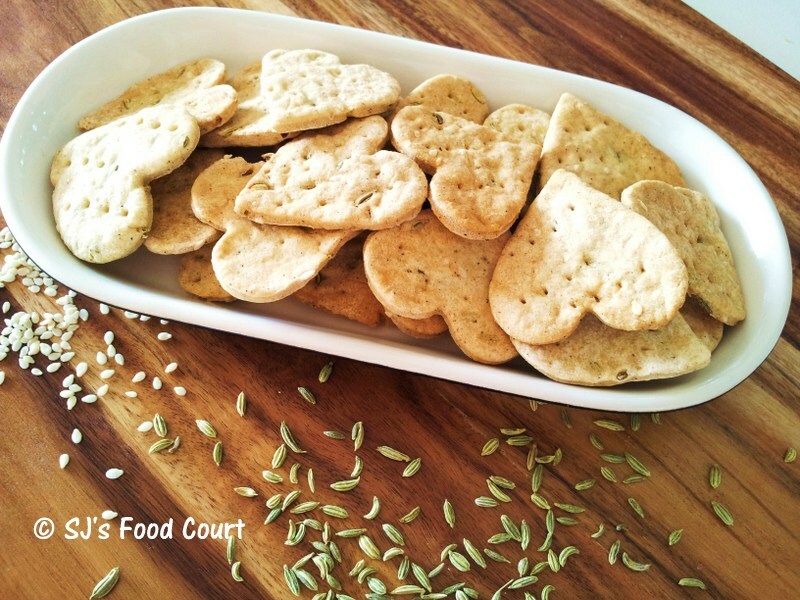 - Add fennel seeds, sesame seeds, black pepper powder and salt into it and mix well. - Knead a medium-soft dough using ice-water. - Cover it with lid or plastic wrap and keep aside for 10 mins. - Divide it into 3-4 portions and roll them out with 2 mm thickness. - Arrange all of them on a lined baking tray and bake them for around 15-20 mins till they are crisp in texture and golden-brown in color. - Cool them to the room temp and store! 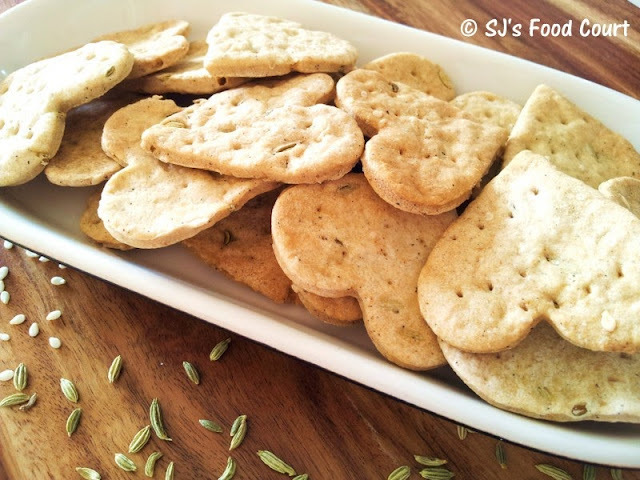 - Reason behind using ice-water for kneading dough is to make these crackers crisp. - You can simply put a wax (baking) paper or grease a baking tray to line it!